Visit St. Kilda Beach and Sandridge Beach for some beach relaxation. Attractions like Warrandyte State Park and Melbourne Zoo make great kid-friendly stops. Spend the 8th (Tue) wandering through the wild on a nature and wildlife tour. There's much more to do: wander the streets of Melbourne Central, brush up on your military savvy at Shrine of Remembrance, enjoy breathtaking views from Eureka Skydeck 88, and stop by The Junk Company. 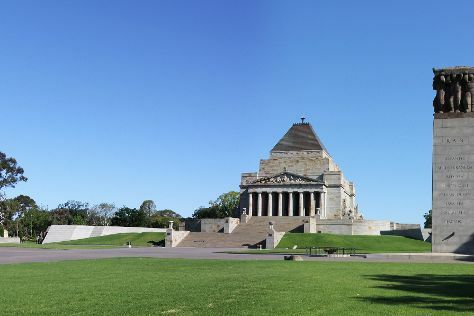 For traveler tips, reviews, photos, and tourist information, use the Melbourne day trip planner. In January, plan for daily highs up to 32°C, and evening lows to 17°C. Finish your sightseeing early on the 9th (Wed) to allow enough time to travel back home.